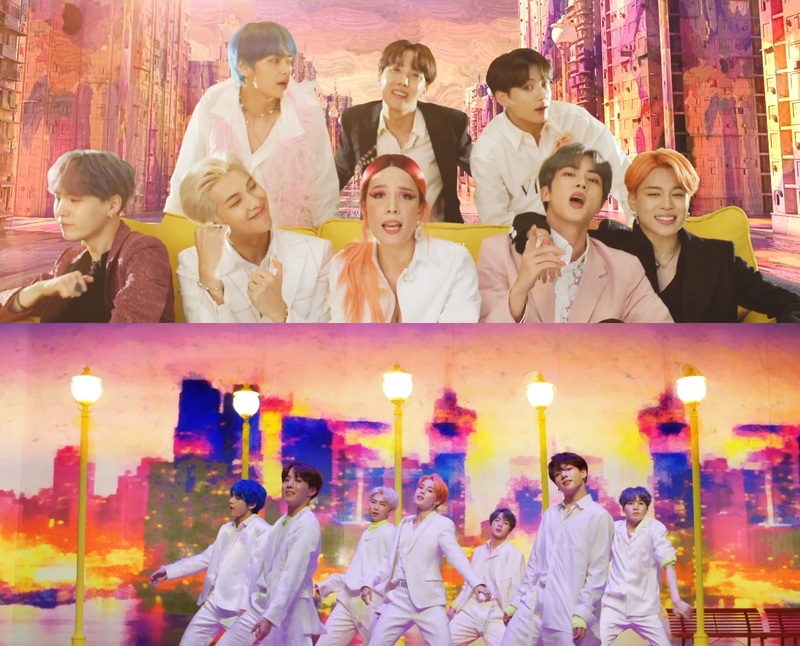 Watch BTS and Halsey’s dreamy new music video for “Boy With Luv”. Set in a surreal pastel-hued dreamworld, the video opens with Halsey clocking off her ticket booth work shift and inviting us to join them. 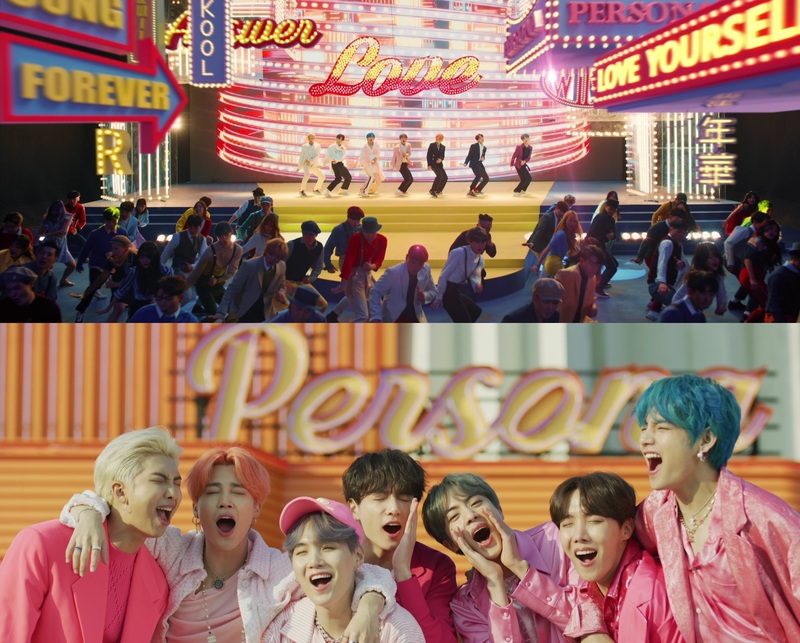 Highlights include: a selection of matching hot pink power suits, backdrops that look like they’ve been lifted straight out of a Wes Anderson film, and an impressive array of tutti frutti hair colours. Check out the full video below, and cop BTS tour tickets here.